The Surfer – this is the best type of wave, it picks up the boat and propels it forward at superhuman speed. It feels like you’ve picked up a power box in that game Mario Kart and got the speed boost – does that make sense?! It’s epic and I absolutely love them. This is the only good type of wave and comes rarely. Hi ALL! Apologies for the radio silence, today is day 5 and the first day we’ve been able to consider sitting in a small hot cabin and write a blog without vomiting everywhere. The first two days were exhausting, the weather – although great for a fast start – was a real baptism of fire. Strong winds, huge waves, torrential rain to the point that you couldn’t see and A LOT of sick from Lauren and Gee. 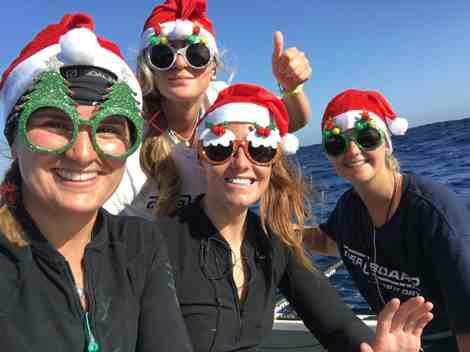 I have so much respect for those two girls, they battled through every bout of vomit, got on the oars and stayed as cheery as you can do when feeling that ill. Gee was very grateful that we cleaned the bucket with angel smelling disinfectant in La Gomera! Olivia was a little sick and my iron stomach lived up to it’s to reputation.